Demonstrators are not happy with San Mateo County District Attorney Steve Wagstaffe after he did not file criminal charges against several sheriff’s deputies who used tasers on a 36-year-old man who was jaywalking. Sergio Quintana reports. The San Mateo County District Attorney's Office announced Friday that the five sheriff's deputies being investigated for the Taser stun gun death of an unarmed man in Millbrae will not be charged. 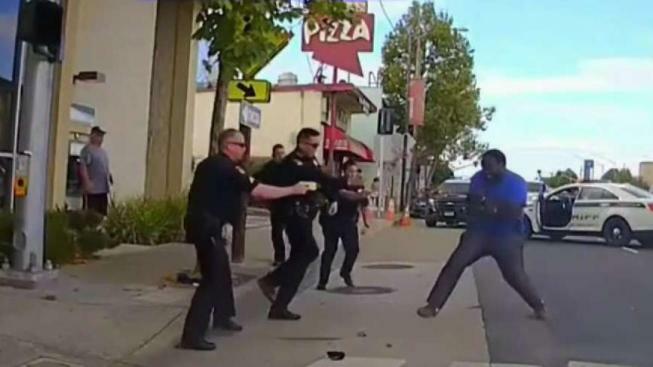 Last October, five San Mateo County sheriff's deputies tased Chinedu Okobi, 36, during an encounter in Millbrae. 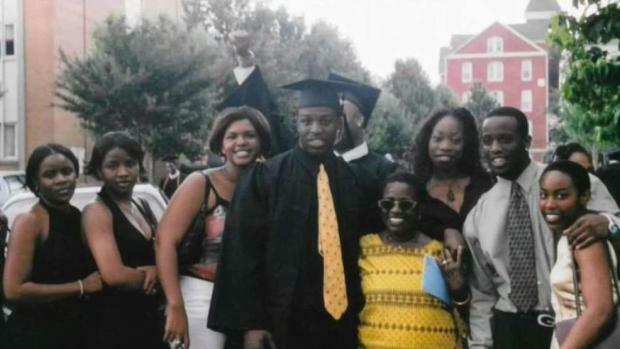 Okobi, who had a history of mental illness, was unarmed and died during the struggle. The DA's office has also released a 35-minute video from the incident. A statement from the district attorney's office said that "while the loss of life following contact with law enforcement is a tragic and traumatic event for all those involved, we have determined based upon a review of all the evidence that the use of force by the deputies under the circumstances encountered by them on that date was lawful pursuant to the provisions of California Penal Code Section 196." "I'm not putting out anything on his mental history out of respect for the Okobi family," San Mateo County District Attorney Stephen Wagstaffe said. "This was a tragic event ... I don't want to put any blame on Mr. Okobi. I don't want to do anything to demonize the deputies or Mr. Okobi." Wagstaffe said his decision was made in accordance with California law and urged the public to read the investigation report closely. He said that the area where Okobi was stopped by officers was an area of high pedestrian safety concern because of jaywalkers. According to the medical examiner's office, the cause of Okobi's death was found to be cardiac arrest "following physical exertion and electro-musuclar disruption, that is tasering." Back in January, a number of people protested inside the office of the San Mateo County District Attorney to voice their frustration with how the district attorney was handling the case — the third such Taser death in the county over the past 12 months. About 10 to 20 people with the group "Justice 4 Chinedu" took part in a sit-in at the office of Wagstaffe to demand that he release video of the deadly incident involving Chinedu Okobi. The video shows Okobi being pulled over as he was walking on the street leading to an altercation with the deputies. You can hear one of the officers yelling: "Stop resisting! Stop resisting." They then ask him to get "on his stomach" as Okobi says: "What did I do." Only one deputy — Deputy Wang — can be seen discharging a Taser at Okobi which hits him on the shoulder and wrist. The discharge took Okobi down but didn't keep him down. "He's a large man, as the video shows," Wagstaffe said. The activation time on each was five seconds or less, he said, the correct way to discharge a taser, he said. At one point Okobi tries to escape from the deputies and punches one of them, which Wagstaffe said what was what caused the injuries on Deputy Wang's face. Wagstaffe said Friday that "Mr. Okobi had crossed the intersection six or seven times, and was trying to avoid the deputies for some reason." He added that Okobi broke a number of California penal codes, including resisting the deputies and kicking and screaming at them. "Don't rely on my word, watch the video," he said.